THE YEAR’S BEST DARK FANTASY AND HORROR, 2011, edited by Paula Guran. This compilation features the fantastic Neil Gaiman, Holly Black, Joe Lansdale, and George R. R. Martin. EDITED: Sorry, guys. This book doesn’t come out until August 30. Amazon lied to me. Expect to see the recommendation again. August 30 is going to be a good one. 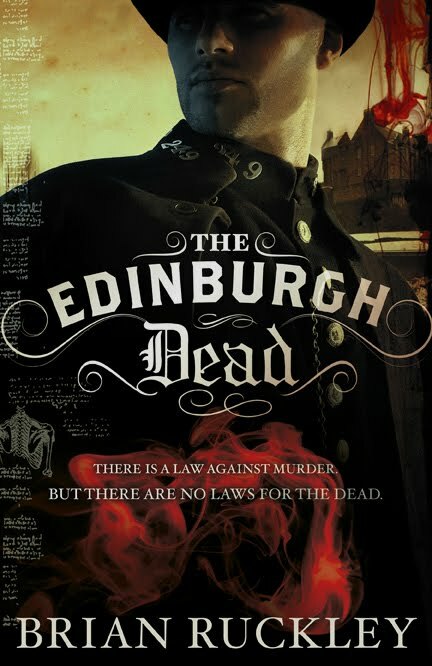 THE EDINBURGH DEAD, Brian Ruckley. Sounds like steampunk noir. And that sounds like fun. THE OMEN MACHINE, Terry Goodkind. For the epic fantasy fans. You’re welcome. Now I’m going to go watch Dr. Who until I pass out from exhaustion. This entry was posted in Fun Stuff, Writing and tagged basilisk, brian ruckley, caleb's crossing, dresden files, george r.r. martin, geraldine brooks, ghost story, glen duncan, holly black, jim butcher, joe lansdale, john hornor jacobs, kill the dead, korsak brothers, mark lawrence, neil gaiman, prince of thorns, richard kadrey, rob thurman, sandman slim, southern gods, terry goodkind, the edinburgh dead, the last werewolf, the omen machine, the year's best dark fantasy and horror 2011. Bookmark the permalink.